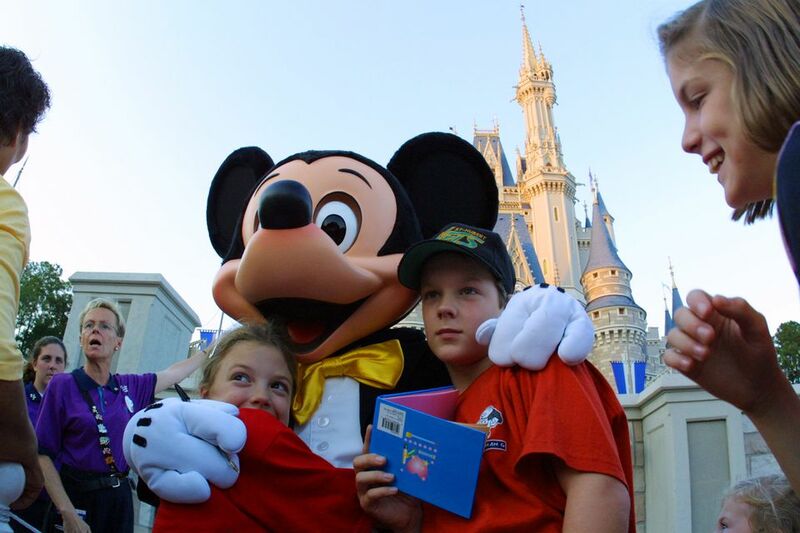 Kids of all ages enjoy Disney World, but the 10 and under crowd are particularly receptive to all that Disney World has to offer. Picking a resort that caters best to your children's needs and planning your theme park visits to include rides and attractions geared to their age will only enhance their vacation experience. Making that happen is made easier if you follow the suggestions, tips, and tricks on the following pages. Disney World is the perfect destination for vacationing with toddlers and preschoolers. The family-friendly atmosphere is colorful and welcoming, friendly and familiar characters are everywhere and gentle rides are plentiful. It still takes significant planning by parents to ensure our little ones stay safe and sound and happy. Making that happen is made easier if you follow these suggestions, tips, and tricks. There is a Disney resort for every traveler, no matter what the age, but there are a few that really stand out as great picks for families traveling with children under 10. Disney World is designed to appeal to kids, and the influx of families to Orlando each year means that you will have to wait in line to ride your favorite attractions. Waiting in line isn't fun for anyone, but you can pass the time more quickly with these fun ideas. A Disney vacation simply isn't complete without a face-to-face meeting with the Mouse himself. Each Disney World theme park offers you the opportunity to meet not only Mickey ​but other favorite characters as well. Learn where to find your favorite characters and what to do when you meet them. The Bibbidi Bobbidi Boutique at Disney World is dedicated to creating magical Disney Princess makeovers guaranteed to delight any little girl. Here are the details every parent should know before "promising" this experience to their little princesses. Disney World's PhotoPass card makes capturing those memory-making vacation moments really easy and convenient... and, everyone in the family gets in the picture! All it takes is a card — Disney's PhotoPass Card. Here's how to get one and how to use it. Traveling to Disney? Make sure everyone in your party stays safe for the duration of your Disney vacation. Here are a few things you can do to make sure you stay safe, happy, and healthy on your next Disney vacation. Whether you are looking for a quick pick-me-up between rides or a small meal, these great snacks can't be beat. Combine the heat of Florida with the fast pace of a Disney World vacation, and staying cool and hydrated becomes a priority for most theme park guests. Following is a list of the best beverages you will find on Disney property, designed to appeal to guests of all ages and tastes.